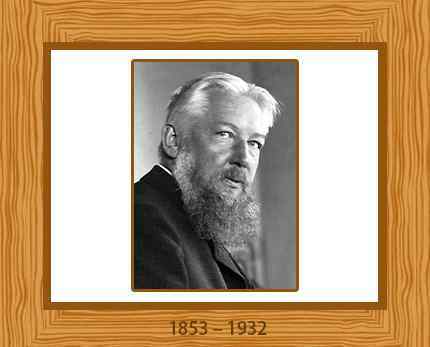 Friedrich Wilhelm Ostwald, more commonly known as Wilhelm Ostwald, was an eminent Russian-German chemist and philosopher who was a key figure in the development of physical chemistry as a recognized branch of chemistry. He won the 1909 Nobel Prize for Chemistry for his groundbreaking research on chemical equilibria, chemical reaction velocities and catalysis. Born of German parents in Riga, Latvia on 2 September in 1853, Wilhelm Ostwald received his early education at the city’s Realgymnasium, where he studied physics, chemistry, mathematics and natural history, while learning various languages such as French, English, Latin and Russian. His father wanted him to become an engineer but Ostwald had already developed an interest in chemistry. After entering the Dorpat Landesuniversitiit in 1872, Ostwald studied physics under Arthur von Oettingen and chemistry under Karl Schmidt and Johann Lemberg. In addition to his studies he spent his student days collecting insects, equipping a private chemical laboratory where he made fireworks and experimenting with photography. He loved music and played the viola and the piano; he was destined to meet his future wife at a music lecture. He received his Candidat in 1875, after writing an essay on the mass action of water. Oettingen consequently took him in as a helper in the physical laboratory. Ostwald received his master’s degree after analyzing the chemical affinity by physical means. He began to give lectures on physical chemistry at the University, and continued his research on affinity, while refining the scientific methods related to the process. Ostwald earned a doctorate in 1878 with his thesis on “volumetric and optical-chemical studies” which included tables of affinities for a representative series of acids and he became Schmidt’s assistant in 1879. He married Helen von Freyher in 1880 and they had two daughters and three sons. His 1,764 paged “Lehrbuch Der Allgemeinen Chemie” (Textbook of General Chemistry) was the first of numerous textbooks by Oswald in inorganic, analytical and physical chemistry. He also co-founded “Zeitschrift für Physikalische Chemie” (Journal of Physical Chemistry) and edited himself the first 100 volumes up until 1922. His works massively promoted the growing field of physical chemistry. Ostwald went to Leipzig in 1887, where he assumed the chair of physical chemistry. There he carried out groundbreaking research on catalysis, while promoting the works of Arrhenius and van’t Hoff. He made Leipzig a world center for the study of physical chemistry. Moreover, he extensively studied and made important findings regarding energetics. Ostwald spent almost two decades at Leipzig. Wilhelm Ostwald went into semi-retirement in 1894, choosing to continue only as a research professor. He started focusing more towards “Naturphilosophie” and kept himself away from research in chemistry. He finally announced full retirement in 1906 and moved to his estate at Grossbothen, in Saxony, where he spent his last years as an independent scholar and freethinker, exploring the fields of energetics, scientific methodology, monism and pacifism and internationalism. He also developed a new physical theory of colors. In 1909 he was awarded the Nobel Prize in chemistry in recognition of his work on catalysis, chemical equilibrium and rates of chemical reactions. He published over 500 research papers, 45 books and 5,000 reviews during his career. Ostwald died at “Landhans Energie” on 4th April in 1932, after a short illness. He was 78 years old.